VP Engineers, in its strive to give the best services to the customer, is now offering full length tube liners to completely restore a damaged tube. VP Engineers also offers Tube Inserts (Ferrules) for the month end erosion problems in Metal, Plastic and Ceramic Materials. Cracks, pit holes, punctures in the tube & the most common solution given at site is to go for: Plugging & Retubing. Plugging of a tube decreases the efficiency of the Heat exchanger, whereas retubing is Laborious, time consuming, & a costly process. Tube Liners are of same material as that of the parent tube (damaged tube) or a superior corrosion and erosion resistant material. Superior bonding technology of Hydro Expansion (Not Hydraulic expansion) ensures the tube and the liner are bonded throughout the length uniformly without any air gap. Loss of heat transfer is negligible due to added thickness of liner to the tube. Tube lining is a quicker process. Each tube gets lined in minutes saving the valuable labour time, cost & downtime. Tube lining is relatively cheaper as compared to Retubing as it involves lesser labour, more mechanized. No need to remove the old damaged tube. Damaged tube will be restored to working level with the liner. Lot of time is saved resulting in cost saving & labour time. 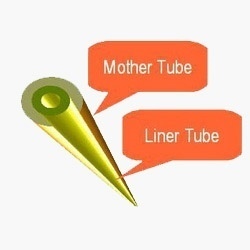 VP Engineers offers Standard tube liner materials are SS 304, SS 316, SS321, Cu-Ni 90/10, Cu-Ni 70/30, Al-Brass, Ad-Brass, Titanium, Hastelloy, Zirconium etc.. Any new combination can also be given to suit the conditions.